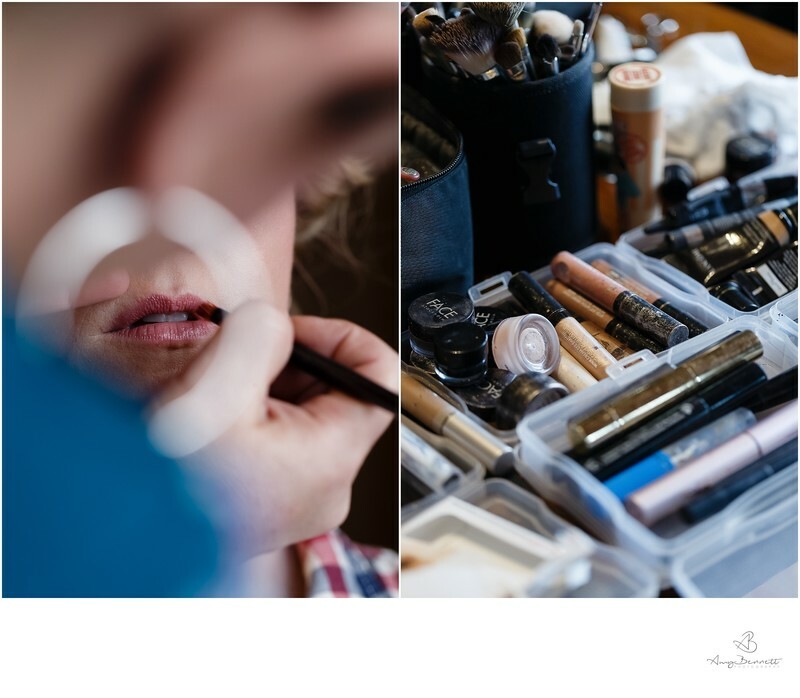 What do you think is the most important part of makeup for Vermont Bridal photography? The most important thing is being ready to go on time! Honestly, that is one of the most important issues of the day for me. I like to arrive when the bride is about 15 minutes from the scheduled finish time of hair and makeup. This gives me about an hour to an hour and a half before the ceremony to take portraits of the bride and in many cases to photograph the first-look and bride and groom portraits. If the hair and makeup team is running late, it cuts into this critical portrait session time. I can’t start my job until the hair & makeup is finished. Brides don’t like the half-ready look in their photos. I like to encourage the bride to make sure that she starts hair & makeup for her and her bridesmaids as early as possible. I hope that the makeup is natural and not too heavy (especially on the eyes) and that the bride is HAPPY with the way that she looks. Pro Tip: Start with your MAKE UP application first. That way, I can photograph you getting the finishing touches on your hair. You will like the photos so much more if you make up is done! If a bride doesn’t want to change her look for the evening what kind of make-up do you think transitions best from day to night? I always like to err on the side of lighter than heavier makeup, especially for Vermont weddings. The bright sun can create shadows in the eyes. If there is really heavy black makeup, the bride can get a raccoon look very easily. Not a good look! What is the most challenging thing about bridal hair? The weather in Vermont can be intense. It is tough when there are some wisps of hair left out of the updo. So many times during the ceremony, the hair will get stuck on the bride’s lip gloss. Not a good look! It is a VERY difficult and costly mistake to fix. Photoshop is not as easy or quick as some people think. How do you like to work with your makeup artist and hairstylists as far as timing goes on the wedding day? Do you usually stage a few getting ready shots once their almost ready? Yes, that is exactly what I do. I like to arrive when the hair and makeup person is finishing up. I ask the makeup artist to stage a few photos of as they apply blush and mascara. These pictures end up being cool shots, so I would never want to miss this moment, but I don’t need to be shooting from the beginning until the makeup and the hair are complete. I will take shots of the dress and rings and other details until the bride is almost ready. Then it is time to put on the dress! Do you think it is important to have the make-up artist stay to change the make-up for an evening look? How much of a difference does it make for the photos? 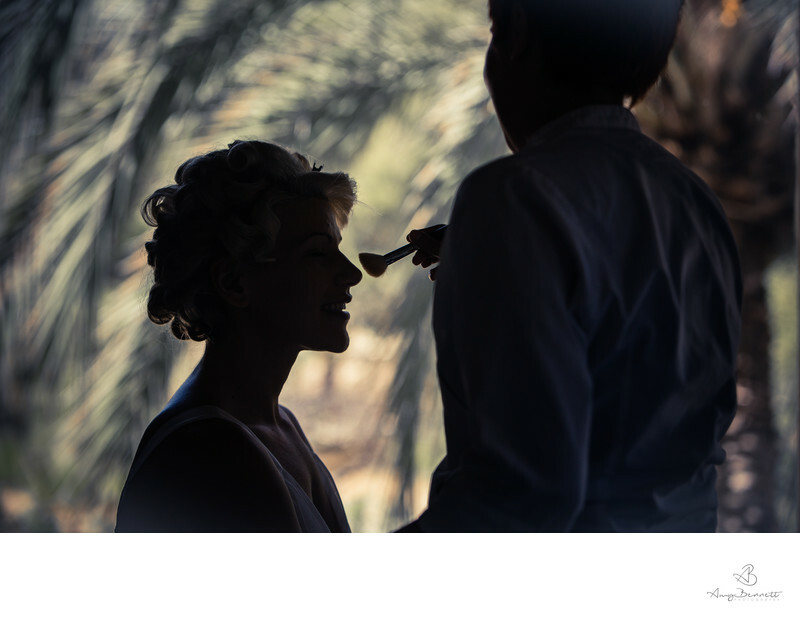 It is a nice touch, and I would certainly encourage the bride to have the makeup artist at the wedding at least until the reception starts if the client had the budget for it! I love the hair and makeup looking fresh and beautiful ALL day and night! Is there anything else you would like to add about the importance of having your make-up professionally done. I would again like to stress the fact that it is SO important that the hair & makeup team is finished on time. If you leave this vital job in the hands of a friend or family member or in some cases the bride herself, the day can get totally messed up! Even though you think you don’t need a professional to do your hair and makeup, I am here to argue that you do. Unless you feel 100% comfortable doing your own make up, I encourage my clients to use a professional for any type of professional photo shoot, from headshots to engagement sessions to your wedding day. It makes a world of difference with how the photos turn out!